Election season is here! I know – it’s such an obvious statement. All you have to do is turn on your tv, check an online news site or listen to the radio to learn that political ads are everywhere. Along with all of the important races that will elect our future leaders, Missourians will be voting on five different amendments. I would like to draw your attention to Amendment #4. This amendment, the “Taxpayer Protection Amendment,” prevents any new state or local sales tax on the use of services. 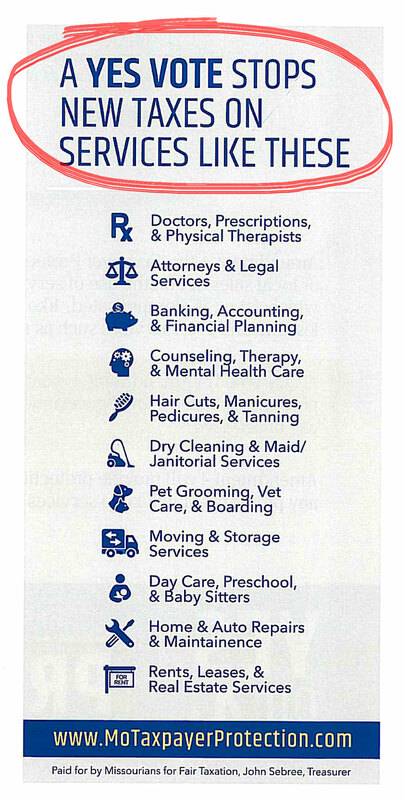 A service can be any transaction for which labor is compensated, like haircuts, home or auto repairs, dance lessons, and even services such as medical care or legal representation. At the most recent HBA Board of Directors meeting, this amendment was discussed at length. After careful consideration, a motion was made, seconded and unanimously passed to endorse Amendment 4. Please take this opportunity to read more information about this amendment on the attached flyer and help spread the word.